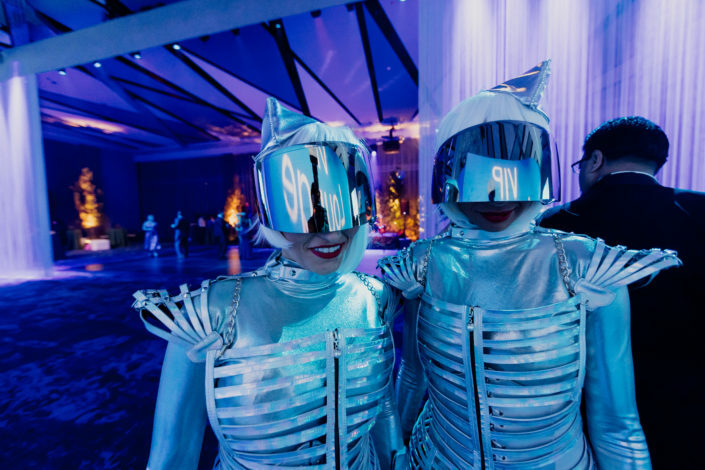 The 2018 MetroHealth Gala produced by Party411 Events in support of the MetroHealth green space transformation was a smashing success! 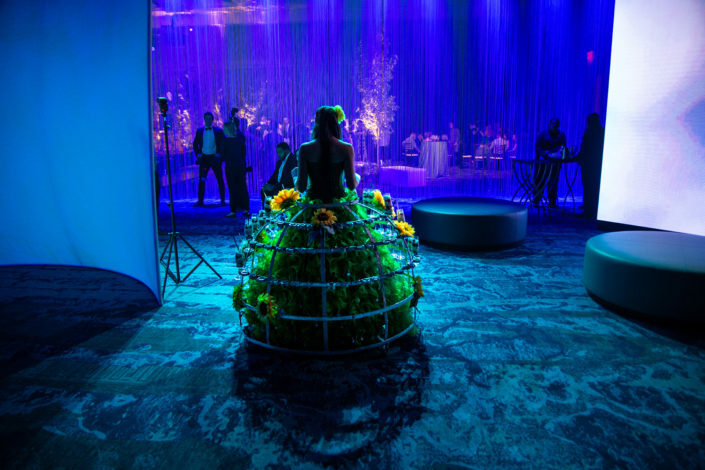 Guests arrived at the glamorous Hilton Cleveland Downtown for a black-tie evening that they won’t soon forget. 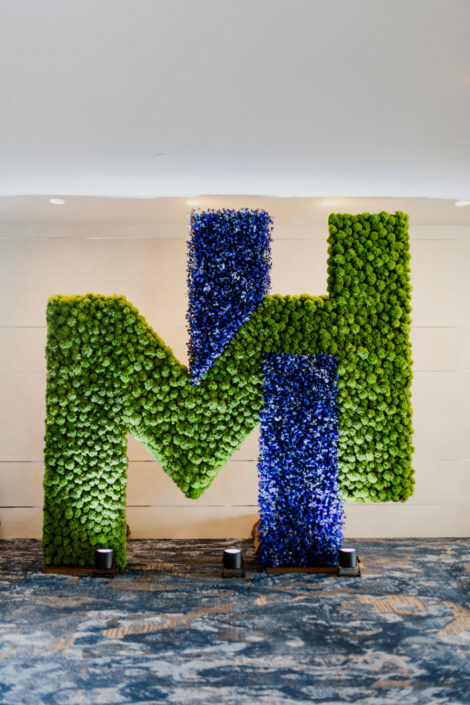 Greeting guests at the entrance was an awe-inspiring topiary of blue delphiniums and greenery designed by Pieter Bouterse Studio in the shape of the MetroHealth logo. 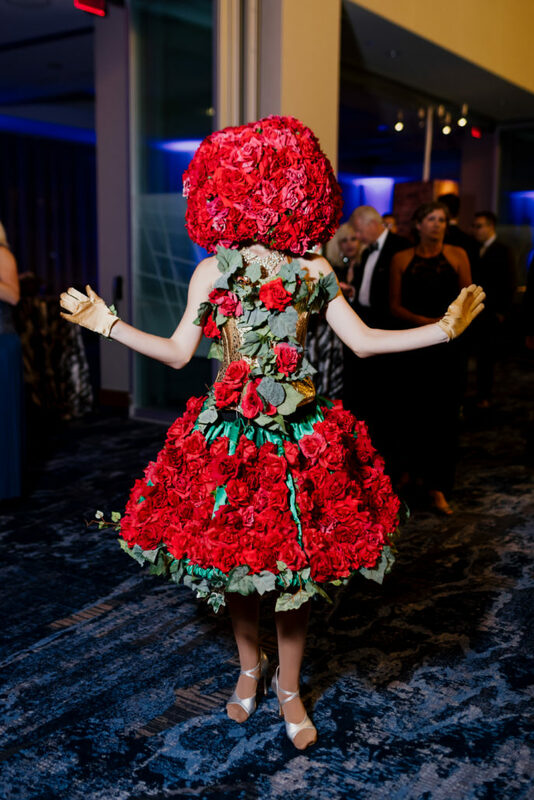 Guests took pictures in front of the show-stopper before heading in to the atrium for drinks, mingling, and a peek at the silent auction prizes. 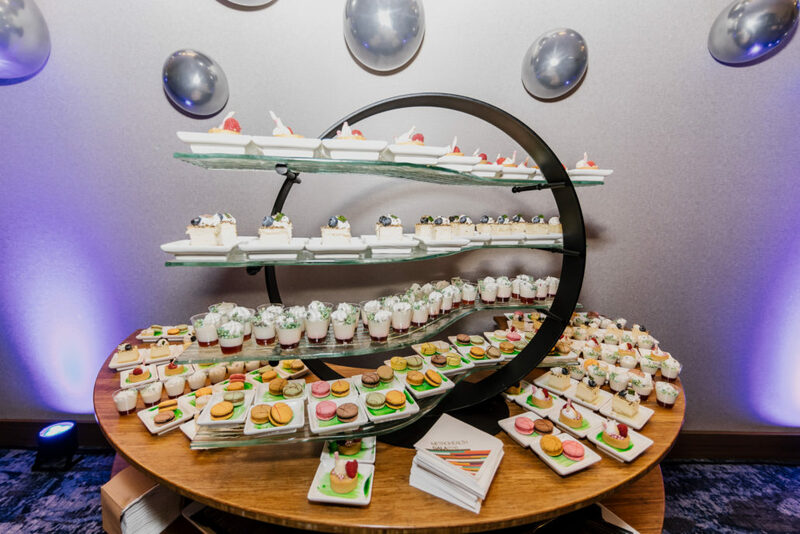 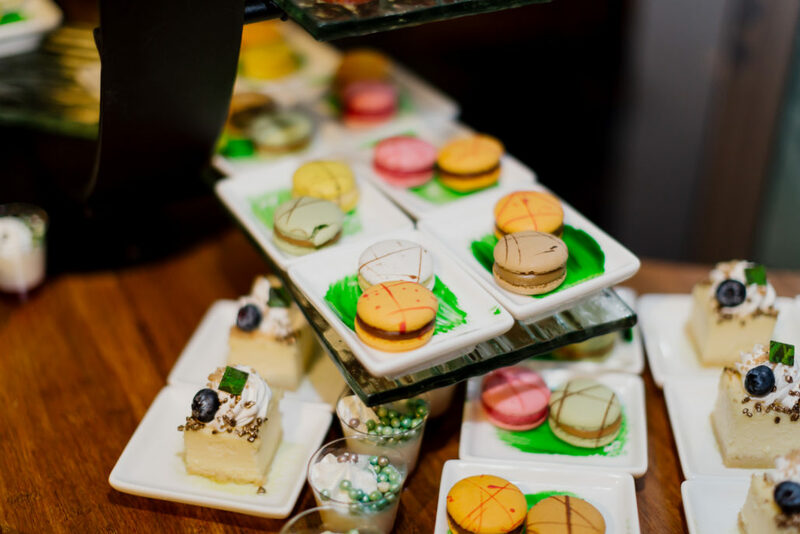 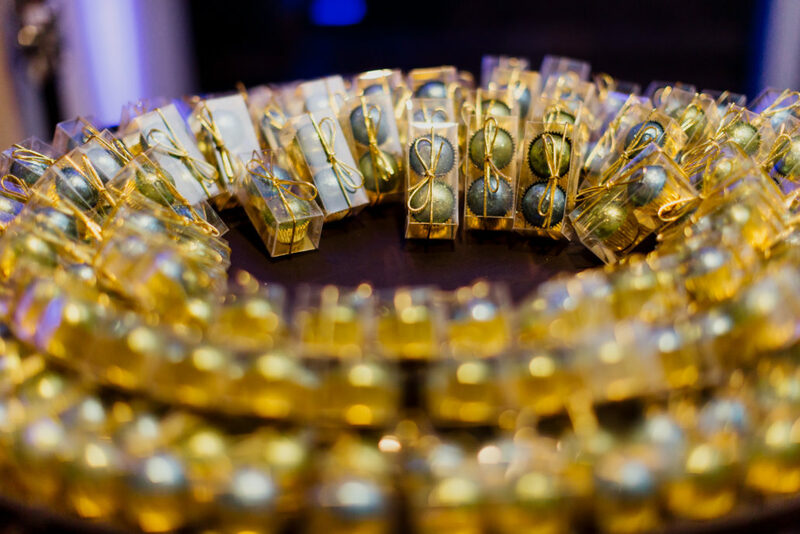 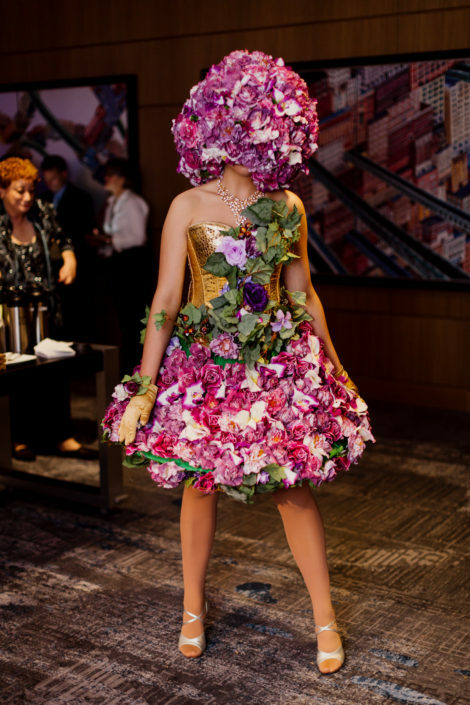 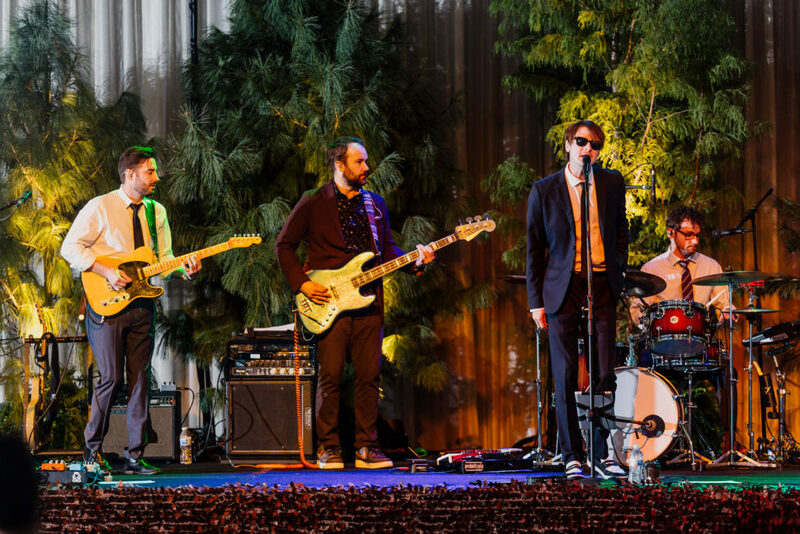 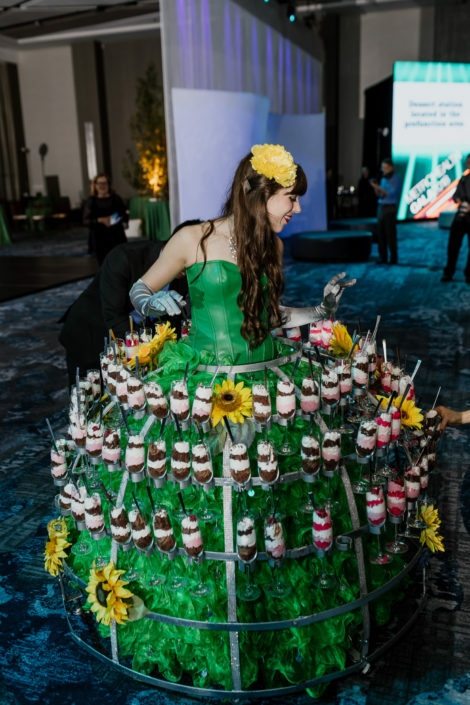 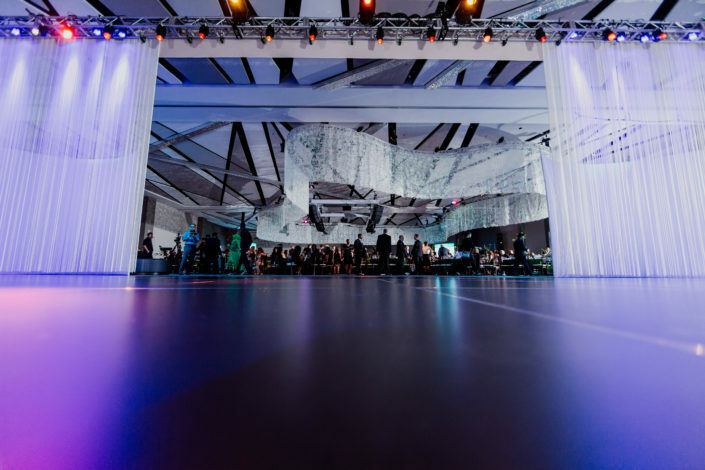 The ballroom, decorated with a lush green palette in a nod to MetroHealth’s green space transformation initiative, evoked a summer garden with green petal tables, opulent flower centerpieces, and even a ceiling curtain that mimicked a waving tree canopy. 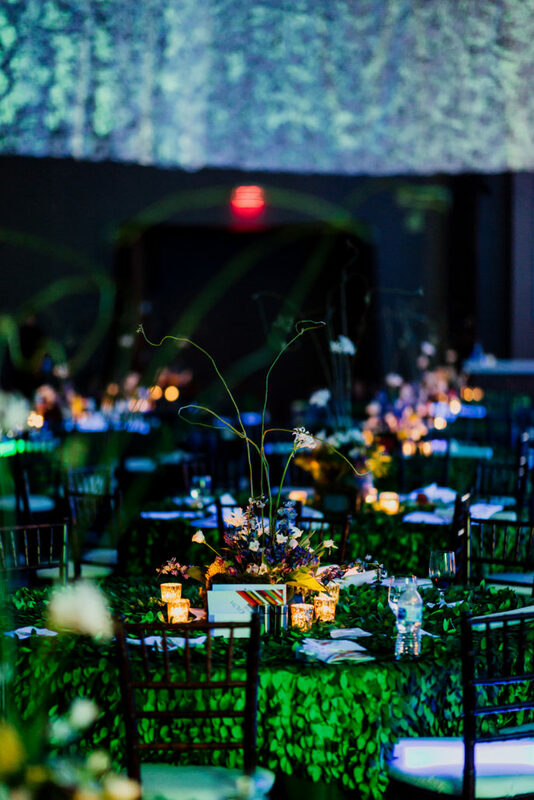 Before the live auction to raise money for the green space, Dr. Akram Boutros, CEO of MetroHealth, introduced Andrea Hope Rubin, a MetroHealth burn survivor, who spoke about her transformative experience and the role MetroHealth played in her recovery. 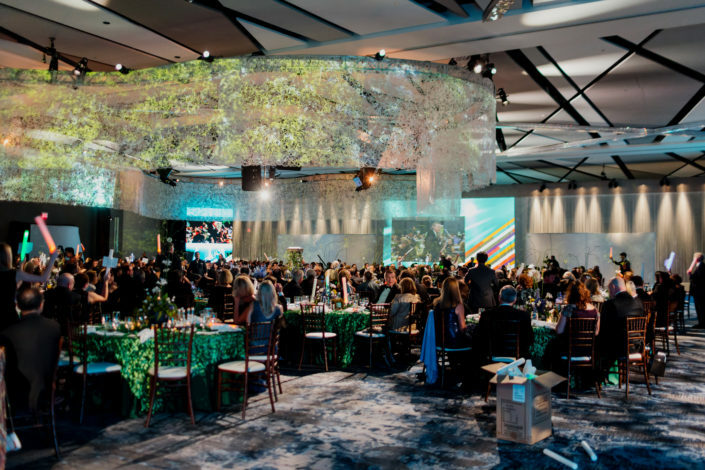 The highlight of the evening, the live auction, was raucous fun and raised $1.3 million to transform MetroHealth’s green space into a restorative oasis for patients and the community alike. 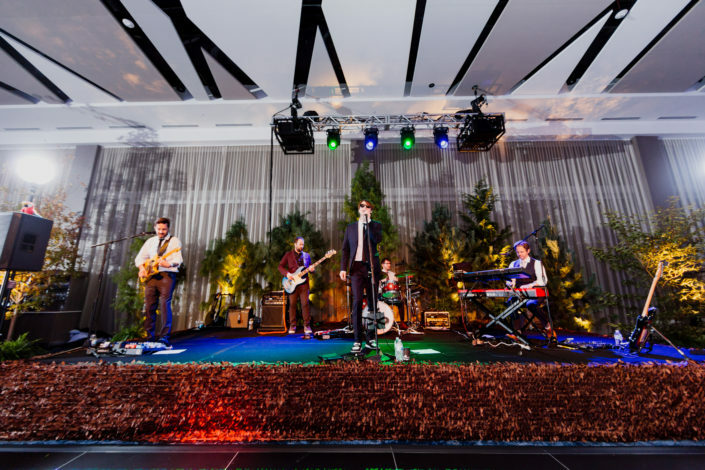 After the auction, guests enjoyed an After Dark event with dancing and live music from The Sunrise Jones, a popular local cover band. Living rose topiaries moved among the guests to take pictures and entertain, while everyone snacked on elaborate desserts! 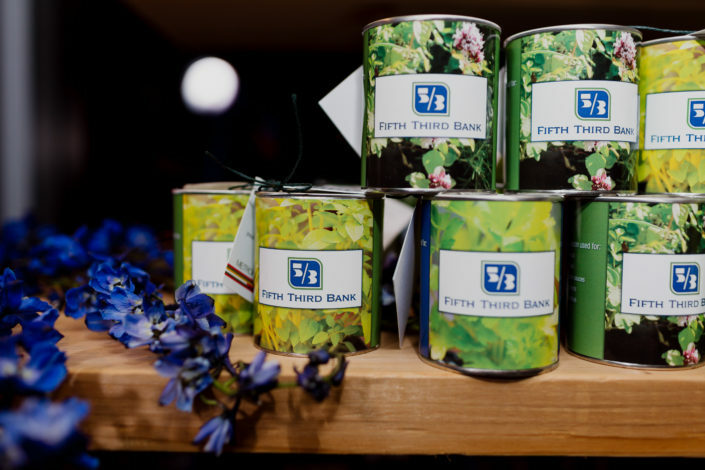 The evening ended on a high note, with guests heading home with a plantable herb garden favor to represent the growth and green space theme. 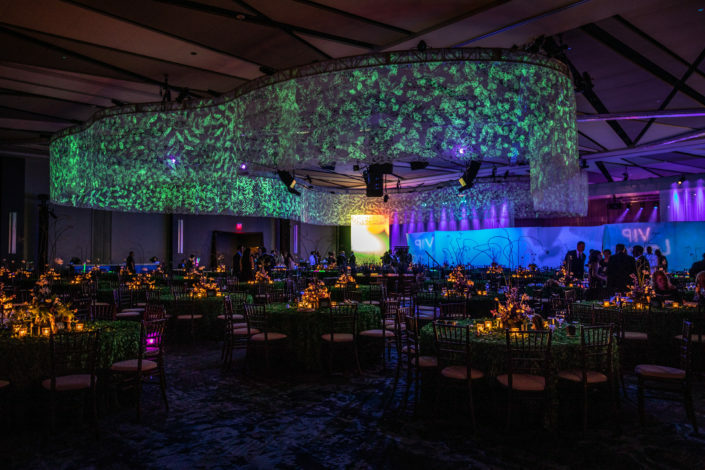 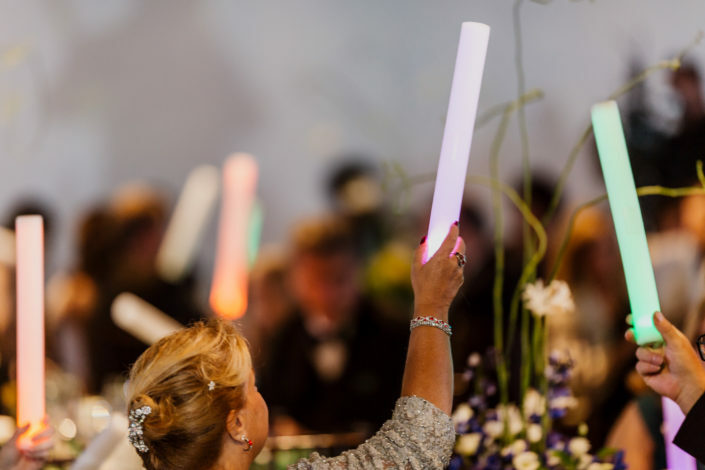 Many thanks to our partners Pieter Bouterse Studio, NPi Audio Visual Solutions and Vincent Lighting Systems for making this event unforgettable!